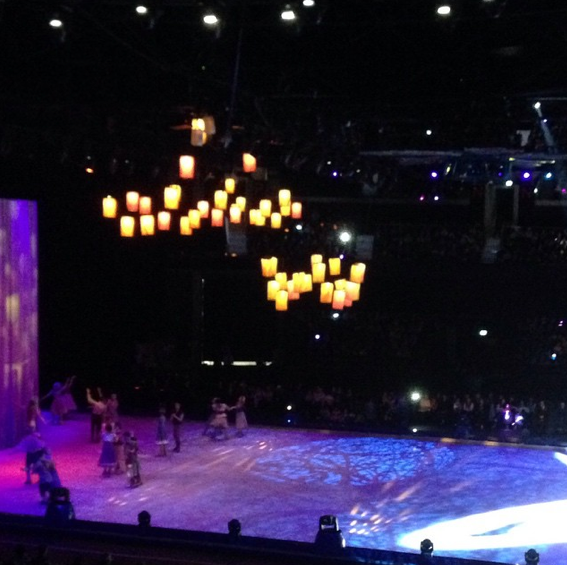 On Thursday night this week the kids and I headed to the Hydro, Glasgow to see Disney on Ice, Magical Ice Festival. We took with us our lovely neighbour Sandra who had kindly agreed last minute to accompany us to the event. I doubt I'd have managed on my own and Rick was feeling poorly (man-flu!). We were very lucky to be invited to a special VIP Meet & Greet ahead of the show which was super exciting. The littlest of course wanted to dress up in her Elsa outfit as we knew that the sisters from Frozen would be making an appearance at the show. 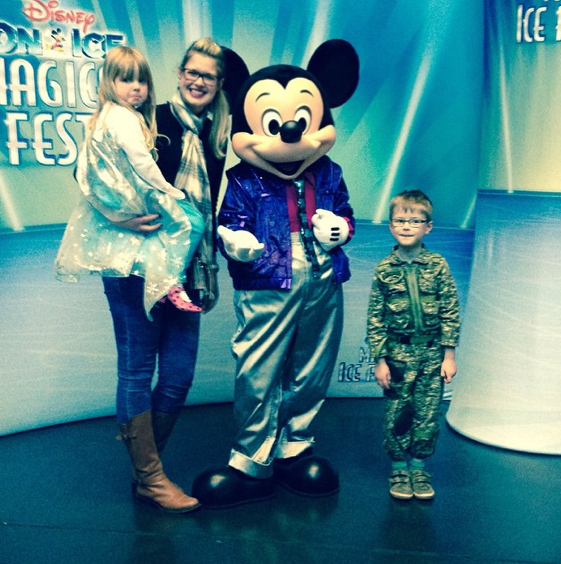 Here we are with Mickey... my son didn't want to miss out on the dressing up so he put on his soldier costume. 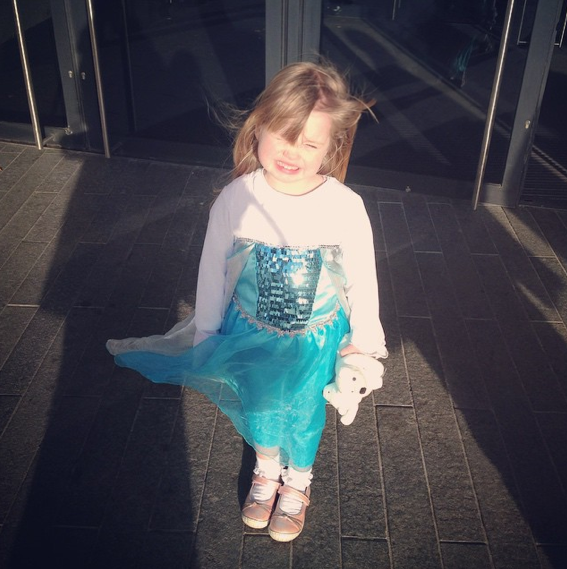 I think the littlest was disappointed that we weren't meeting Elsa! They were also given a Rapunzel doll each to keep which was unexpected and they're delighted with their toys. We had amazing seats in the front row of the first level. 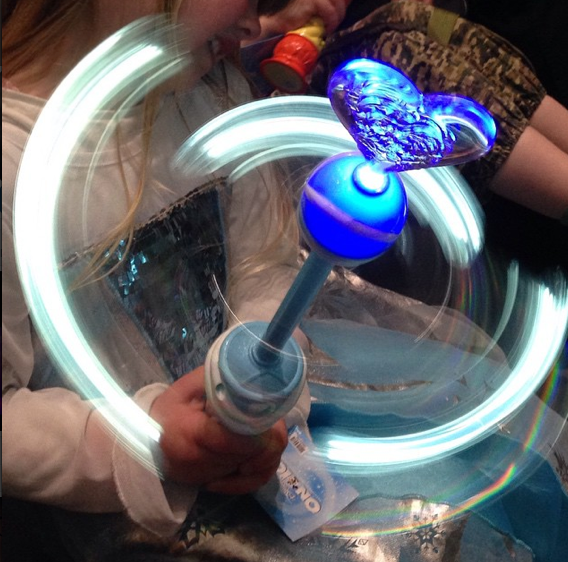 Sandra very kindly bought the kids a light up toy... these were super expensive in my opinion at around £19 each! But I guess that's what expected at a show like this. 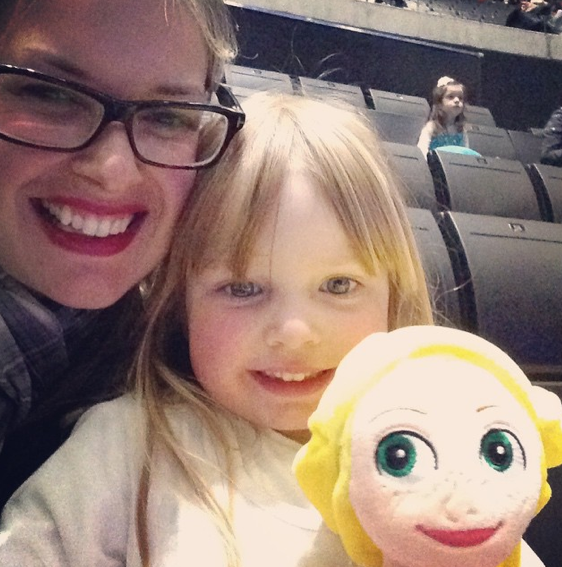 The obligatory selfie once we found our seats... including Rapunzel! Then the lights dimmed, and the show began. 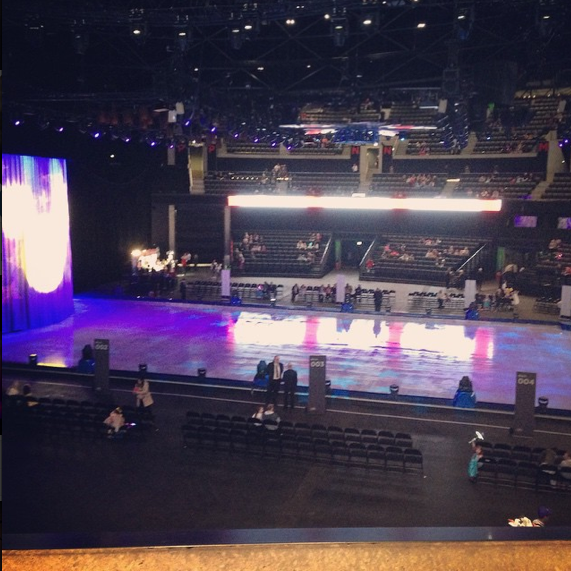 It was about this time last year we went to Disney on Ice, and at the time both kids were engrossed by the performers. This time round my son at age 5.5 years didn't seem to be as bothered which disappointed me - he's obviously growing up! He felt that this show was too girly because each of the movies selected had a princess (The Little Mermaid, Tangled, Beauty & the Beast and Frozen), whereas last year Cars and Toy Story 3 featured. She was just couldn't contain her excitement. She was jumping around in her seat, and the family behind us thought she was super cute, as did I of course! For me, my favourite songs were 'Under The Sea', 'Be Our Guest' and of course 'Let It Go'. 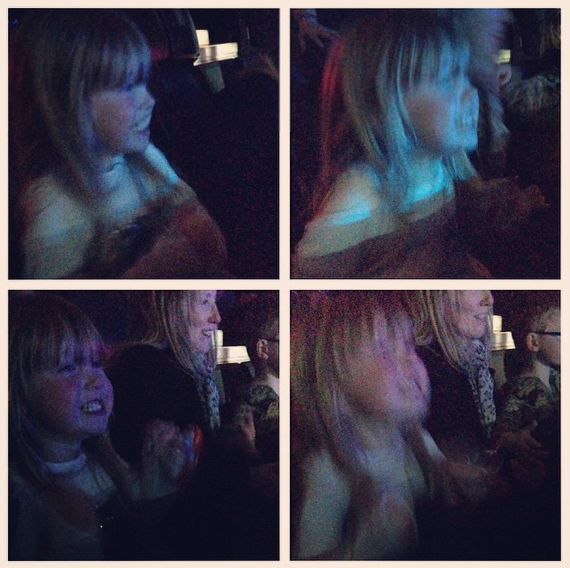 The whole arena was singing along to Frozen! It truly was a magical experience - for the grown-ups as well as the children. The show was captivating... pyrotechnic explosions, floating lanterns, fire... One of the princesses put on an ariel show (which didn't look very safe in my opinion!) but it was very impressive as she twirled around suspended in mid-air. The performers were amazing... not a single fall this time which surprises me given some of the huge outfits they were wearing... teapots, fish, candlesticks!! I was however pretty conscious of the time, as the show didn't start until 7pm. We ended up leaving just before the end to avoid the crowds and hopped in a taxi home (my son fell outside the Hydro on the way to the taxi and scraped his knee pretty badly... wasn't a good end to the night).